The pattern is easy. With knowledge of stockinette stitch, and increasing and decreasing, that's all that is needed. 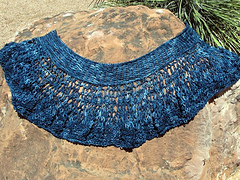 So even a beginner can tackle this one, as well as a seasoned knitter. Enjoy this pattern. An easy, fast to the finish-line top that can be worn throughout the year. 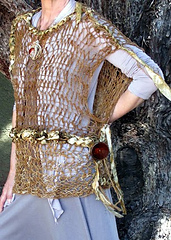 The wrap can be worn around the shoulders, hips and neck. It simply is a lovely accessory to be enjoyed for many occasions. 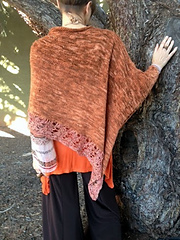 A wrap that is easy to knit with large needle sizes, especially 17’s! 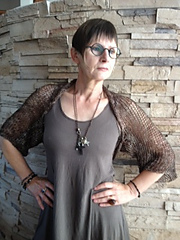 This wrap can be worn over the shoulders, as a scarf, or around the hips if you are daring! 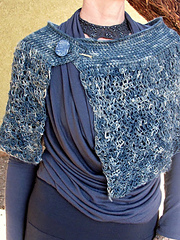 You may decide to add button (s), a shawl pin or another closure. “Jul” closure is shown in some of the photos. A versatile and cozy poncho.